The second month of the quarter is all about our member companies. We want to spotlight all of the hard work INGAA members take part in every single day to make sure pipelines transport natural gas safely all over the country. If you have an employee or any content that speaks to your company’s dedication to safety, we would love to feature you! Below you will find the safety graphics and recommended social copy for November. In addition to our safety message, we will also have graphics and copy for Thanksgiving and all of the upcoming holidays over the next couple of months. We also want to remind you to be on the lookout for the resilience and reliability video we are working on. In the meantime, we have shorter clips of all the videos we’ve created since we started America’s Energy Link on our YouTube channel. These videos are available for you to use on your own social media channels. 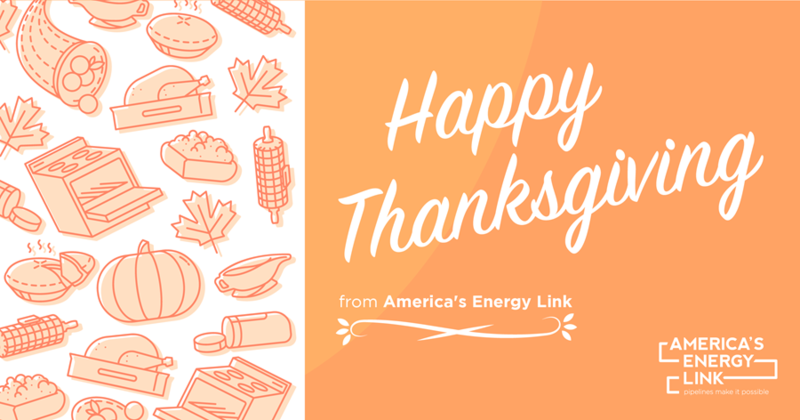 We are grateful for your ongoing support of INGAA and America’s Energy Link. We hope you enjoyed the content and graphics on cybersecurity in October. If there is any content you think America’s Energy Link should focus on, please contact us! Remember to check INGAA’s Facebook, Twitter and LinkedIn pages often, and feel free to share our America’s Energy Link messages and website with your co-workers, family and friends!